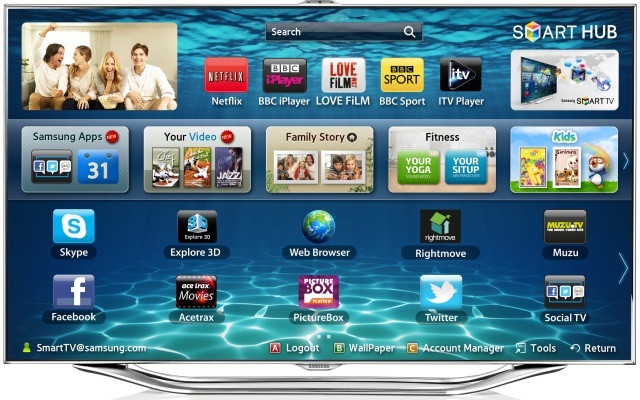 February is going to be all about developing applications for the Samsung Smart TV. So what’s a Smart TV? “Smart TV” is a term used to describe a reasonably new series of internet connected televisions introduced over the past 3 or 4 years which have the facility to install applications; these can range from media streaming (e.g., free stuff from iPlayer, ITV Player, Demand 5, youtube and premium content from the likes of BlinkBox, LoveFilm, NetFlix, Curzon OD) to video chat and VOIP (e.g., Skype), and games, facebook, twitter, TED. There are hundreds of such applications to choose from: even a pretend log fire. Srsly. They will also stream media from your local network (DLNA or UPNP) or from USB attached devices, and some can use a USB HDD to make it a PVR. Yeah, just because I have one. They started making clever TVs back in 2007 so have it working pretty well now. I also have a Samsung phone which makes streaming content to the TV (over DLNA) really easy. It’s great to take a few photos or videos on my phone and then promptly have them appear as a slideshow on the TV. They can be downloaded directly from the TV’s “Smart Hub” but can also be browsed online – the array and extent of what’s been made is fascinating; this is stuff you can install on your frikkin television! 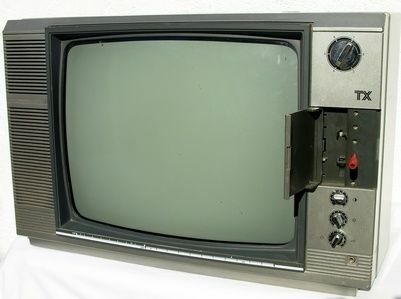 This is not like the TV I grew up with.. The apps can be developed using an SDK downloadable from Samsung, which I’ll go into detail about in the next post. When an application is displayed and behaves on the screen, its image and text generation should be controlled and managed. For Samsung TVs with Samsung Smart TV installed, it is App Engine that performs such work. An application’s behaviors and displays are made by App Engine. While Internet Explorer and Firefox are PC-based browsers, App Engine is Samsung TV-based browser. 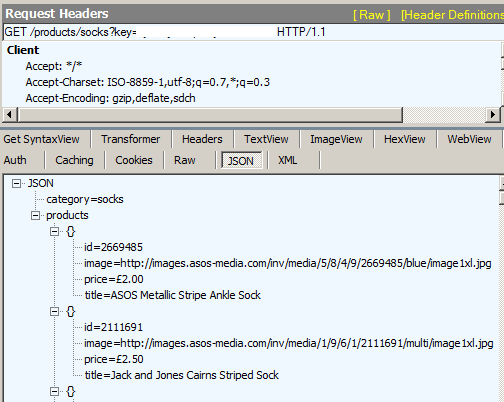 So, the interesting part is that the cross domain ajax request security feature isn’t enabled in App Engine, which means you can execute ajax calls from the local html page to your external service and use the returned data quite happily! I’ll cover the IDE and creating a basic app.